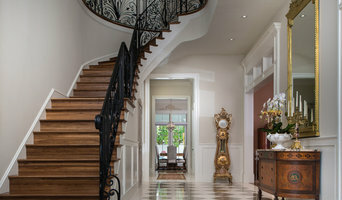 Professional interior design and architectural photographer. I'm based in Orlando, Florida and travel all over the state on a regular basis. I've even shot internationally in places such as Mexica, Cuba, the UK and India. One stop marketing shop for builders, architects, designers and any company looking to elevate the image of their company with high quality video and photography. I'm an Orlando, Florida based photographer specializing in the architectural, indoor/outdoor environment, travel, theming and entertainment industry. I was born and raised in Cincinnati, Ohio graduating from the University of Cincinnati with a Bachelor of Fine Arts degree concentrating in Photography. I've always had a passion for photography starting off in traditional still film and slowly transitioned into the digital world. I look forward to my prospective opportunities within the photographic realm and aspire to expose my vision of the world in a unique manner. I specialize in commercial and residential architecture and interiors photography. I use a combination of natural light and strobes to achieve stunning photos that have the crispness of a flash photo but the natural ambiance of a natural light photograph. I'm just an ordinary guy that's wired with a lot of creativity. I love photographing real estate and architecture. I provide photos and videos that are colorful, clear and well composed. I use HDR technology bringing you the best end result for a natural looking picture both inside and out. When I'm not out on a photo shoot, I'm enjoying the company of my family, playing music with the guys or out flying my radio-controlled planes. "We create images that exceed your expectations and elevate your status"
Before you call any potential photographers, make sure they have good references. Friends who've sold or rented homes before are great resources, as are local real estate agents. Look through each Florida photographer's online portfolio to make sure what you're looking for is being offered. Once you've done that, it's a good idea to walk around your home and write down exactly how many and what types of shots you'll need. Include any specifications you might have, such as angles, things to consider about your home’s Orlando, FL site, the time of day you think will be best and aspects of your home you want to highlight. Find a home photographer on Houzz. 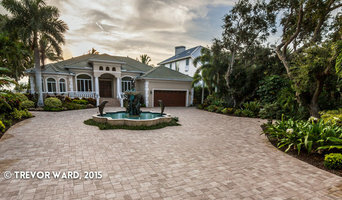 Narrow your search in the Professionals section of the website to Orlando, FL photographers. You can also look through Orlando, FL photos by style to find a room you like, then contact the professional who photographed it.